Considering the number of cybersecurity breaches that continue growing exponentially, every organization must have a complete cybersecurity incident management process, including a formal policy and procedure. Having to manage an incident process is not a matter of "if" but "when." Most organizations require a formal incident management plan to satisfy either legislative or client specific requirements. 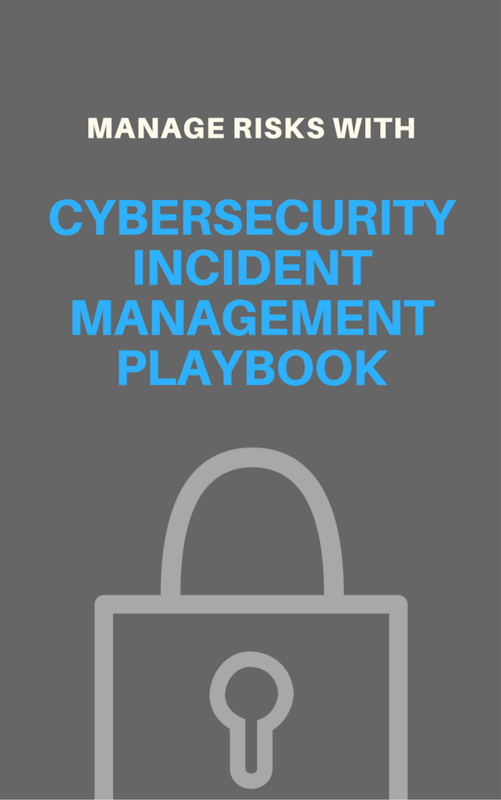 Since many organizations have not yet developed and implemented a formal incident management and response plan, the following playbook was developed to help businesses manage the process and recover from cybersecurity incidents. Having a comprehensive incident management policy and procedure will help you to demonstrate that you are taking risk management very seriously. This way, you position yourself above your competition by exerting confidence, and will most definitely win more business. You will minimize the likelihood of costly fines in the event, and a security incident takes place. You'll also reduce the risks of being at fault as long as you had a documented process and your employees were familiar with it. Download the Incident Management Playbook today to better protect your organization.